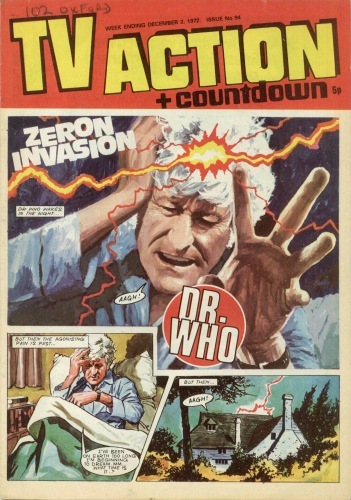 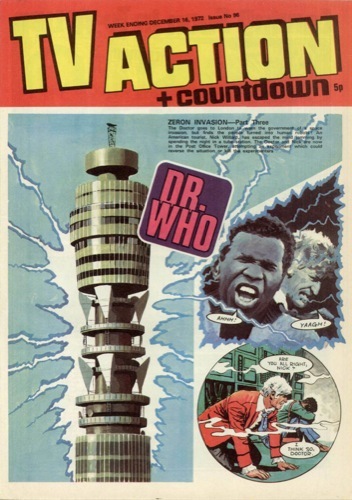 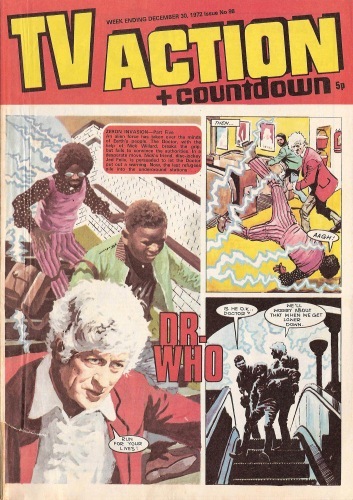 Exactly forty years ago this month, TV Action + Countdown comic had The Doctor starting a new adventure, Zeron Invasion. 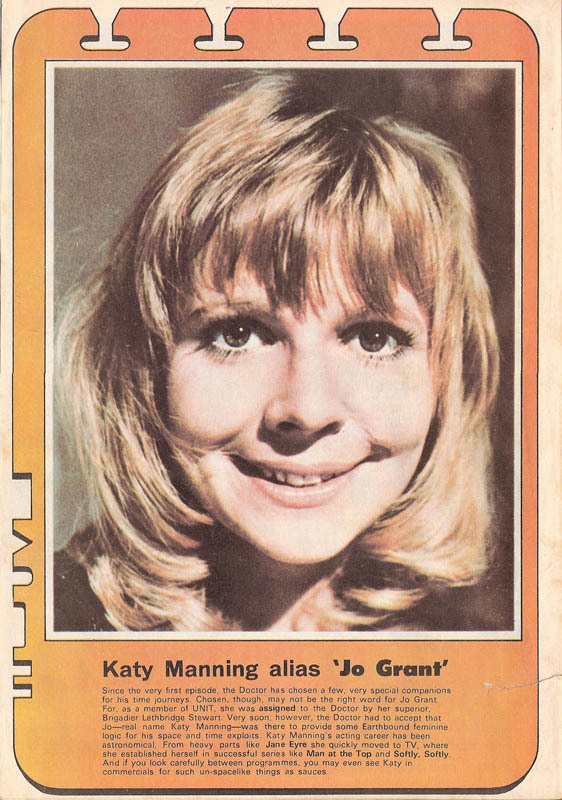 The back cover of issue 98 as a profile of Katy Manning, alias Jo Grant, in the same format as Jon Pertwee’s profile that adorned the back cover of issue 93 last month. 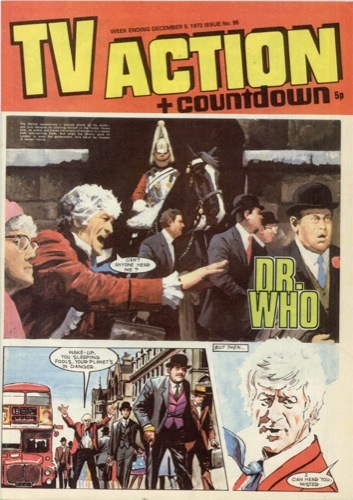 Click the issue title to view the complete comic in PDF format.